These days, it seems all you hear about are full-frame mirrorless cameras, with their glorious image sensors about the size of a 35mm film frame. Sony, Canon, and Nikon all seem to have their focus set on the market for high-end full-framers, but with few exceptions, Fujifilm has been steadfast, choosing instead to stick with its line of retro-styled shooters with smaller sensors. 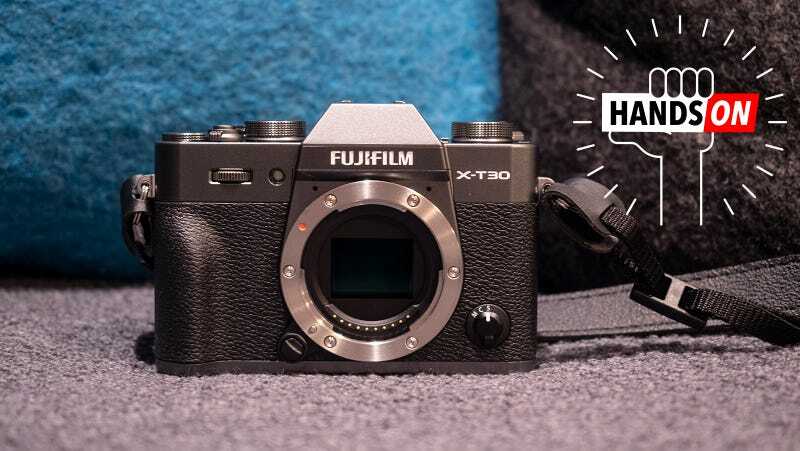 The new Fujifilm X-T30, which comes in black, silver, or “charcoal silver” is not lacking for style, and at $900, its sub-$1000 body price is quite attractive. There are, of course, disadvantages. The X-T20 is a follow up to 2017’s X-T30, another affordable APS-C sensor shooter. But the X-T30 is 0.23 inches thicker than the X-T30 and has done something that could be controversial—completely axing the D-pad used for navigating menus. All images taken with the Fujifilm X-T30 appear here unedited and straight from the camera. To that end, the X-T30 can shoot 4K video at 30 frames per second or 1080p at 120fps, and via the camera’s HDMI port, you can get up to 10-bit, 4:2:2 color out of the camera’s video. That’s impressive for a mirrorless camera going for under $1,000. Sony’s APS-C sensor rivals, the a6500 and a6300 both shoot just 8-bit 4K, with the a6500 costing nearly $200 more and the a6300 costing about $50 less than the X-T30. The new sensor’s phase autofocus, has supposedly been improved to work in darker conditions. Fujifilm has also added some focus goodies like Face Select, which as its name implies, lets you prioritize faces. The X-T30 will start shipping in March of this year for $900. If you want the charcoal silver version, you’ll have to wait a little longer though. It won’t start shipping until June 2019.